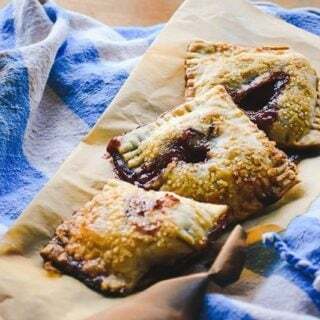 These Homemade Pop Tarts are only 2 ingredients and incredibly easy to make. Your family will love the flaky pie crust and sweet filling. 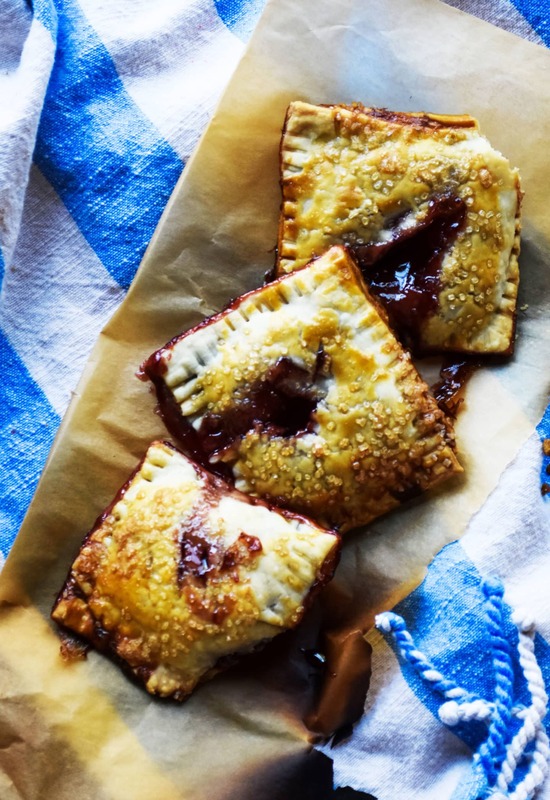 These homemade pop tarts (well, kinda homemade. It depends on what you generally “make”. For some of you the fact they don’t come from a package is the definition of homemade. I’m going with that :P) are seriously the best thing you’ll learn how to make this week. Heck probably all month. Are homemade better than the real thing? Heck. Yes. With no question. 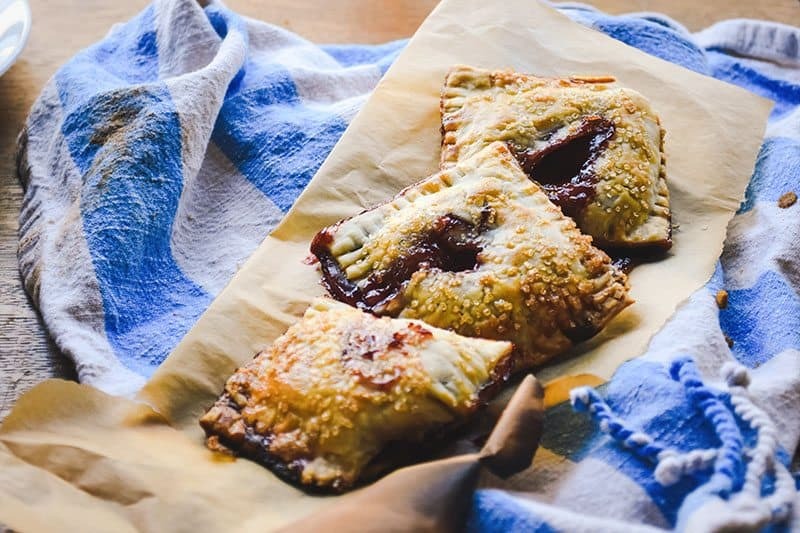 Delicious pie crust and chunky jam is a winning combo every time. The best part is that you get to pick which versions of the ingredients you want. Which pie crust to use. What flavor, consistency, and health factor of jam. Icing or no icing? You decide. They are incredibly easy to make, fast, and require simple, simple ingredients that many of us have on hand already. Or can easily keep on hand. They can be made ahead, frozen, and re-heated for a fast breakfast. Or made on a Saturday morning (might we suggest a bit of frosting?) for a wonderful family breakfast. I also know, from personal experience, they are well loved for holiday brunches. Make a few different varieties, with a little icing on top, and perhaps even some nuts or chocolate chips mixed in for a delicious special breakfast treat. After the Facebook Live demonstration on how to make these I had many of you tell me how much you loved them, how easy they were, and all of the ideas you had to change them up. Chicken Pot Pie Tarts one of you suggested! Which I think is just brilliant. These little pockets can be stuffed with anything. And guaranteed your family will adore eating anything you put into the pockets. Everything tastes better in a pocket, right! Note: Most recipes for Pop Tarts don’t require a slit in the top of the crust. I do it because I love the way they look and because they cook a bit faster. However, it can sometimes allow filling to seep out. Don’t miss the video for full instructions on how to make them, if you need further instructions :). Do NOT serve these straight out of the oven. Let them cool. The jam is very hot and will burn skin. Place a tablespoon of jam onto the center of one side of the strip. Fold the strip over, making each edge touch. Press the edges together, use a fork to create imprints. Bake at 425 degrees for 8-10 minutes or until golden brown. Cool before eating. The jam is hot!